If you want to succeed online beyond your wildest dreams (this happened for me) take a lesson from my journey. You see, modeling the success of others is not only smart, it is necessary. When I say "modeling" I am not talking about copying what others are doing. Or "cloning" anyone's marketing materials. 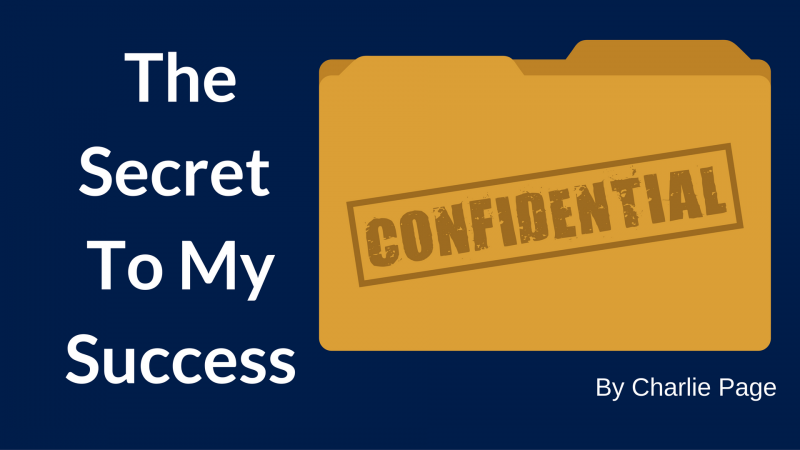 I'm talking about a three step process that leads to success almost every time. Observe the principles that lead to success. Think about how you can develop these principles. Take action, putting the principles to work in your life. With that said, in this article I will reveal the exact process I have used to create a successful online business. Nothing held back. If you know my story, you know I started online without any real reason to believe I would succeed. I was too sick to work outside the home. We had almost zero financial resources. No margin at all. I was in my 40's with a wife and two daughters to support. Making a living online was unheard of. I'm talking the days when DSL was considered fast. So how did it happen? Lots of prayer and following the three steps in this article. I use the same process today. This is a simple three-step process that has never failed to achieve results. NOTE: I have taught this process to others and seen it transform the lives of those who follow through. Here are the three steps, followed by a word about why and how they work. It is deceptively simple. If you follow this process I believe you will achieve your goals and have more peace of mind as well. In every business, from a McDonalds to open heart surgery, there are fundamentals that must be mastered. Essential skills that must be learned and practiced. Happily, when it comes to online business, these skills are both easily identifiable and can be mastered by anyone who makes a real effort. What are the fundamentals when it comes to online marketing? Here is a partial list from my personal checklist for creating, or promoting, products online. For either creating products or promoting affiliate products, I start with these five basics. Identify the right offer - what is the return on this offer? Identify the right avatar (target audience) for the offer. Can I reach this audience? Can I build a funnel to promote this? Can I build my list promoting this? If I am considering an affiliate offer, the list grows slightly to include the items below. NOTE: All five of the items from the first list must all be a "yes" for me to even consider an affiliate offer. Do I trust the product owner? What is the current earning per click among affiliates? Please notice that “driving traffic” is not even on the list YET. The reason is simple - driving traffic BEFORE knowing these things will end up being a waste of time and money. Only by mastering these fundamentals have I been able to succeed. If you find that list tiring, consider this. I have never promoted a product where I did not succeed. In some cases, succeeded wildly. In one case I sold more of a person’s product than they did. This thoroughness is what allows me to win a Rolex, laptops, and earn large commissions when I promote for others. And it's what has allowed me to create 43 digital products, all successful. Remember, the first step in the Learning phase is to know WHAT you need to learn. So here's your action step. Make a list of the essential skills you need to learn to succeed. If you are unsure, observe those who are succeeding in your chosen field. What are they doing consistently? What do their sales letters and offers look like? What does their sales funnel look like? Are they building their list? What do they say in their follow up emails? How to they position themselves as an authority? How do they use content to build authority and trust? While it's wrong to copy others, it is right and good to MODEL the success of others by understanding why and how they are succeeding. Once you have your list of essential skills, choose HOW you are going to learn. Will you take an online course? Will you read a book? Will you hire a coach or consultant? Will you simply learn by doing? Make your plan and take action. Start learning the #1 skill on your list today. By so doing you will win twice - you will gain a skill and be creating the actual "inventory" of your new online business. Now you know what to do, so it's time to take action. Taking action, in this case, means doing the things you have identified as essential skills. This is where many people get it wrong. They don't practice enough for their work to be effective. David Ogilvy was perhaps the best advertising man who ever lived. His success stories are the stuff of legend. Books have been written about his effectiveness when it came to selling almost anything. When he was going to write an ad, he would often write 100 headlines for that ONE ad. In my own life, I have written many hundreds of articles, thousands of solo ads and tens of thousands of headlines. When I started, most of them stunk. Today, most of them work very well. The same can be said of the following, all essential skills in my business. Recording video modules for membership sites. Choosing prices for my products. This is a partial list of course. But each is high on the list of things I do every week. Identify the top three things you will need to do to succeed in your chosen line. Once you have your personal top three, do each one EVERY DAY for the next seven days. At the end of the first week, you will be better than you were at the beginning. At the end of the 8th week, you will be flying high. What took hours before will take minutes now, in many cases. Want to make money online? I can give you the absolute surefire way to do that all day long. This IS the success formula that never fails. Master a skill and then teach others to master it too for a fee. The real key is to be able to teach people how to do what they need to do to go from where they are now to where they want to be in the shortest time possible. That's long, so let's unpack it. "Be able to teach" - If you are thinking "I can't teach" it's time to say no to the fear. If you can teach a child to tie a shoe, a daughter to throw a ball or a son to ride a bike, you can teach. You just need to apply that same "baby step" approach to your online business. "How to do what they need to do" - Choosing what to teach is easy. Teach what you know. Find people who, like you, need to master the essential skills of success in your chosen field. Don't make this more complicated than it needs to be. If you master squeeze pages for affiliate marketers in the personal growth niche, teach that. Believe me, there are more than enough buyers out there in every niche. "To go from where they are now to where they want to be in the shortest time possible." - This is the secret to all success. Helping people make progress feeds your soul and feeds your family too. It's the ultimate win-win scenario. So here it is again, in three steps. Believe me, this is what I do each and every day. I am always reading. Always learning. Always practicing. Always testing. When I find something that works, and ONLY then, do I begin to teach it to others. If you learn this three step process now and make your first list today, you will be well on your way to a profitable online business that has real value and creates passive income for years to come. And those are beautiful things indeed! Charlie — You are such a master at taking what appears to be on the outside very complex processes, and breaking them down into bite size pieces. This is an article I needed to read today to help me accomplish the task that is at hand right now for me. Perfect timing! I love when that happens. Thanks John. You made my day! Charlie, when it come to marketing you’re the grandmaster. Your teaching has help and position me where I least expect I will be in years to come. And the good part is, I was able to have some of my articles on 1st page of Google with your teaching. Thank you for your impact and remain blessed. Thank you Femi. I’m so happy to hear about your articles and Google. I knew you could do it! Nice post…..I have been trying to embark on affiliate marketing and right now am doing my best to build my one page website. Thanks John. Always good to hear from you! I’m grateful to be able to say that.